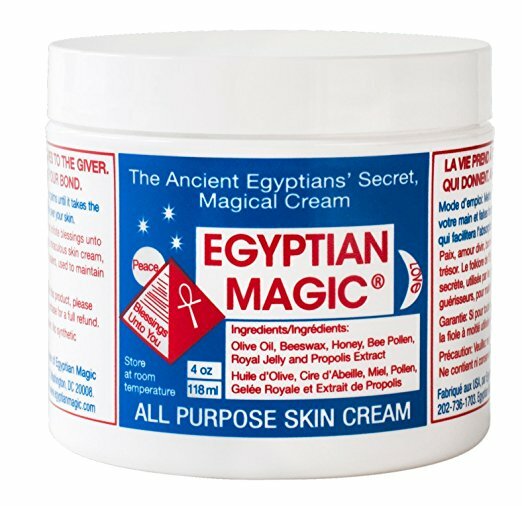 Egyptian Magic Cream: Does It Work? Because skin care during menopause is something we all should pay attention to, any products that are geared for our ‘special needs’ is on the radar! Egyptian Magic, for those of you who don’t know, is one of those products that is an “overnight success”. I had heard about Egyptian Magic on TV, seen some references to it online, but really didn’t have a good understanding about what all the excitement was about. So….I decided to check it out for myself. The folks at Egyptian Magic sent me some to try, so I did, and shared it with a few others to get their opinions. I shared it with a friend of mine, who has some skin sensitivities, and she loved it! She has been using it on her feet, hands, and elbows every single night. The ultimate test? My hubby! He hates using any types of creams or anything, but he has actually been using Egyptian Magic on his face every single night, and the dry patches and scaly patches he gets from being outside so much are greatly minimized. I have actually tried it on my face and around my eyes, and I have to say it’s pretty sweet. Best part is that it’s not oily or stickey…very light and clean. I quickly found that there are many ways to use Egyptian Magic…you just have to try it to understand how well it works!